bebop spoken here: Crombie Rides Again! 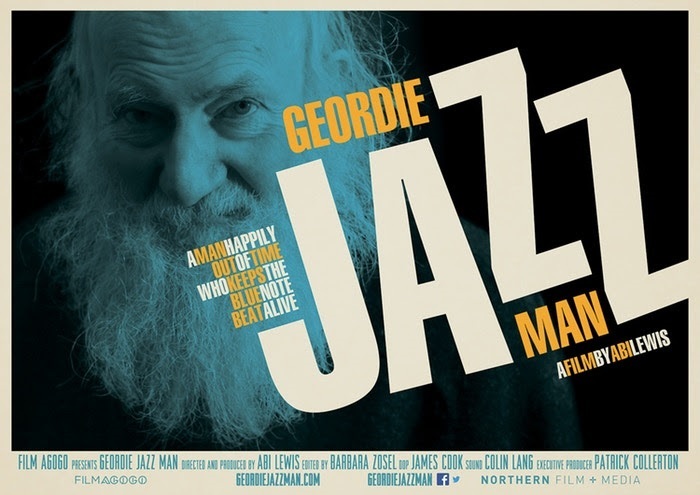 Well, we’ve toured GEORDIE JAZZ MAN to several international film festivals, which saw us win the 2017 Jury Prize for ‘BEST INTERNATIONAL FILM’ at NorthWestFest in Canada. Other festivals we’ve played at include; Sheffield Doc Fest (DP), Aldeburgh Doc Fest, Copenhagen Jazz Film Festival, Long beach Indie, L.A., the Oklahoma Doc Fest and Solo Positivo Music Film Festival, where we won 'Best Director Of Photography’ (well done to the wonderful James Cook!). We ended our tour last November at the Chicago International Movies and Music Festival, which I think Keith would have approved of given it’s connection to Jazz and the Blues. It has been a real honour to attend some of the festivals listed, and especially to witness first hand how Keith’s story translates for an international audience. So what’s been happening so far in 2018? This year we brought independent film distribution and audience strategy consultant Jonny Tull onto the team. Jonny has many years of experience working in the UK film exhibition sector, including being a former programmer and head of marketing at the Tyneside Cinema in Newcastle. But for now - wait for it….. We are planning to RELEASE the film to the public with a bespoke theatrical UK tour, and take Keith on the road. The first screening will be at HOME in Manchester on Wednesday, July 11th as part of HOME’s Jazz On Film season – a collaboration with Manchester Jazz Festival. The second (FILM & MUSIC event) will be on Friday, July 27th at the Tyneside Cinema which will celebrate Keith’s legacy and the Jazz scene in the region. This is the first public screening of the film in the North East and we’re really excited about making lots of noise about it in the press. The film screens with a Q&A and a late-night after Party in the Tyneside Coffee Rooms. Well, I for one can't wait to see it again - Lance. Will we be able to get a dvd or download it?